Looking at what Art & Design education should or could be, Parallel School encapsulates the idea of non-institutional, self-led education. The aim is to connect people of different backgrounds from around the world to share their knowledge with one another. A truly international concept, Parallel School has previously taken place in São Paulo, Berlin, Glasgow, Moscow, Paris and London, with an “each one teach one” system, meaning all participants are equally teachers and students. Guests and lecturers from different disciplines are also invited to complement the workshops. 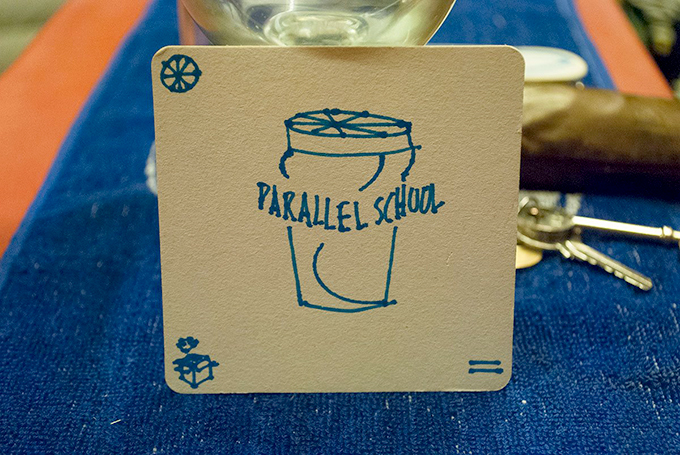 The most recent Parallel School event was in Brno as part of the 2014 Biennal of Graphic Design. You can take a look at the journal documenting their workshops here. Lookout for Parallel School happening near you or you can submit your own idea for Parallel School here. For more creative delights we’ve Spotted on the web take a look here. Online lifestyle, design, and culture magazine, Thoughtful.